Graphic design tips for creatives and stumped business owners alike. ALL KILLER NO FILLER - short, sharp and USEFUL info to save you time 🦊💪🙌. 4 signs that your business needs a rebrand! Did this resonate with you? 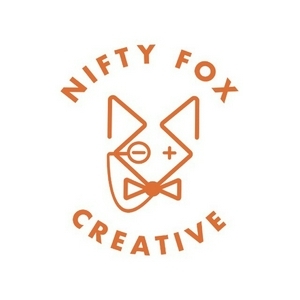 Contact laura@niftyfoxcreative.com for help with your rebranding needs! 5 free graphic design tools for small business owners in under 5 mins! Includes canva.com | unsplash.com | adobe stock | wix.com | mailchimp. Go forth and put me out of work ;)! Today’s podcast is about the 4 golden steps to great logo design from getting to know your client, right though to digitising your work. Aimed at creatives, but useful for small biz owners wanting to understand what graphic designers do all day ;)! Ep 1: Welcome to the Nifty Podcast!